Mental health is a growing health, social and economic concern in Ireland. Tackle Your Feelings (TYF) was established to encourage people to take preventative measures to maintain and improve their mental and emotional wellbeing. Tackle Your Feelings (TYF) was established with a clear vision to promote the view that being honest with how you are feeling is brave and that by staying connected people can maintain their mental and emotional wellbeing. 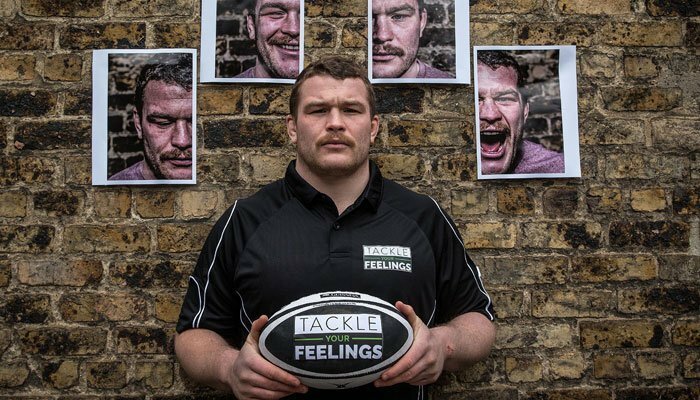 Tackle your Feelings is Zurich Ireland's community investment initiative, run in partnership with Rugby Players Ireland (RPI). Tackle Your Feelings seeks to emphasise the importance of preventative measures in maintaining good mental wellbeing and aims to reduce the stigma around mental health by provide people with the tools and resources to be more proactive in looking after their emotional wellbeing. By asking people to be honest with themselves about how they are feeling and to take appropriate action, the campaign aims to encourage people to resolve emotional challenges before they escalate into a crisis. The campaign website, www.tackleyourfeelings.com, hosts a number of practical resources to help people develop their emotional self-awareness and proactively work on their mental and emotional wellbeing. In order to understand more about the overall mental and emotional wellbeing of Irish adults, Zurich and RPI commissioned Empathy Research to carry out research in December 2016, key findings of which are contained in the infographic below. Tackle Your Feelings is a three year partnership between Zurich and Rugby Players Ireland aimed at encouraging people to take preventative measures to look after to maintain their mental and emotional wellbeing. To hear from the TYF Ambassadors click here and to see how you are feeling across different areas of your life, take the self-awareness test.